The “no” count at each school went as high as nearly 28 percent, representing the number of people spotted not wearing a seat belt. Schools were then issued a challenge to improve the numbers during an assembly where they heard the Johnsons’ story. Alexa Johnson, the 19-year-old daughter of Tad and stepdaughter of Jona, was killed last year after a crash on Interstate 25. She had not been wearing her seat belt, was ejected and thrown from her truck. “I do believe Alexa would have survived if she’d been wearing her seat belt,” said Tad Johnson, who founded the nonprofit Alexa’s Hugs in his daughter’s honor. 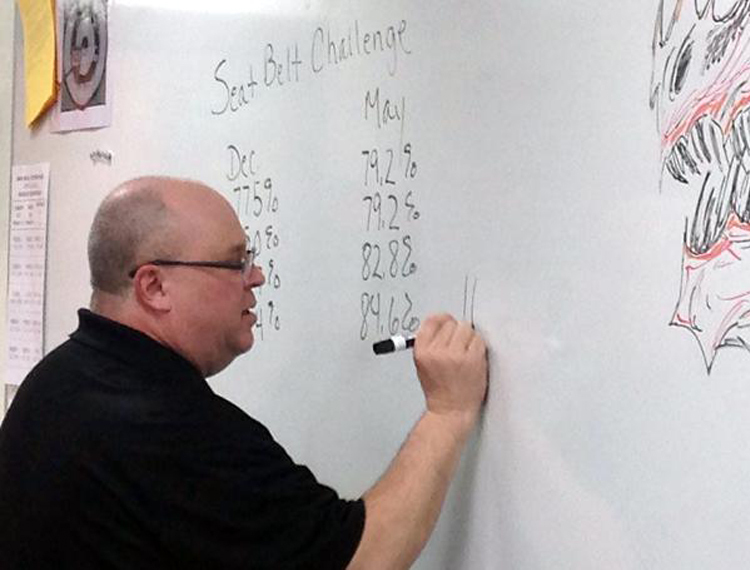 The three-piece seat belt challenge was explained to students at every high school. A winning public service announcement would receive $500 from Alexa’s Hugs. Another $500 would go to the school that had greatest overall seat belt usage and another $500 was for the school that showed greatest improvement during a follow-up, unannounced school visit. The Berthoud High student council got to work right away, making signs to remind drivers to buckle-up, blasting overhead announcements and handing out candy to compliant drivers. “They really got on board immediately, especially since Berthoud High has had several incidents with students being seriously injured or killed in car crashes,” said teacher Jenn Santos, who is co-sponsor of the student council. Senior and student council representative Kenzie Keller created the public service announcement on safe driving that won $500 and will air on Comcast starting June 1. On Thursday, Tad and Jona told the student council that Berthoud High had come out on top for the other pieces of the challenge, too. Taking the full $1,500 prize would have been a feat for any school, but the rural Berthoud High had the odds stacked against it from the beginning. “We had the lowest percentage to start with, so I kind of thought it was a long shot,” Keller said. 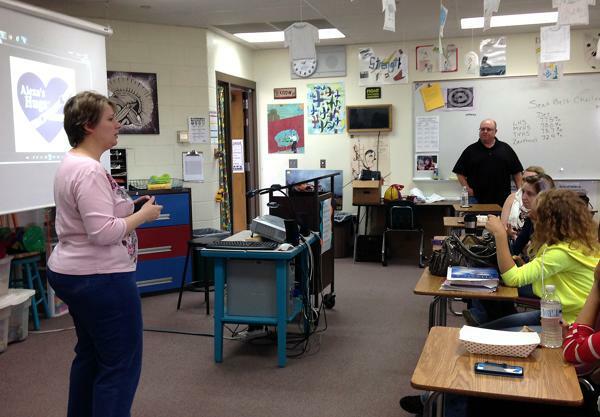 Berthoud High improved seat belt usage by 16.8 percent in a challenge that saw improved seat belt usage at every high school. Tad Johnson said the across the board improvement brought tears to his eyes. “What it showed me is that when the kids really buy into it and it’s a peer-to-peer message, it’s even stronger,” he said. The award money will go directly to the student council, and co-sponsor Kim Skoric said some of it may be put toward permanent signage or other reminders to buckle-up. “We want this to make a lasting change,” she said. For more information or to donate to Alexa’s Hugs, visit alexahugs.com or search “Alexa’s Hugs of Northern Colorado” on Facebook.